For poisoning—use stomach-pump and an emetic of 30 grains of Zinc-Sulphate ; then wash out stomach with Potash-Permanganate lotion then give coffee to drink. When grave symptoms are over, give Ipecac 1x frequently. If this fails, Nux Vom. 1-3, Merc. 3, Bell. 3 or Acetic Acid 3. But never use Apomorphia. For those habituals who suffer after giving up opium, Avena Sativa Ө m. 5, thrice daily is best. If this fails, give Chamomilla 6, Coffea 6-30, Cannabis Indica 1x-30. 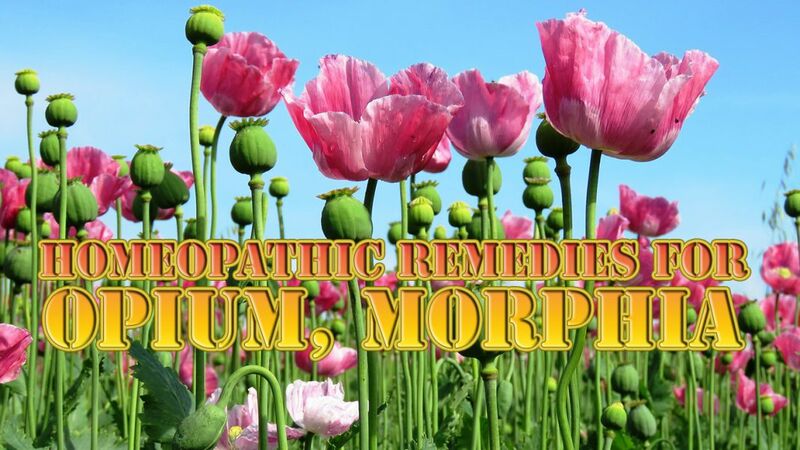 Those who wish to knock off opium or morphia-habit, should take Avena Sativa 9 (10 drop-dose twice daily) in hot water, at the same time decreasing the customary dose of opium and continuing the Avena for some time after opium or morphia has been completely given up.